After shopping for far too long I finally bought a backpack from my local Sun & Ski Sports, the Surge, manufactured by North Face. 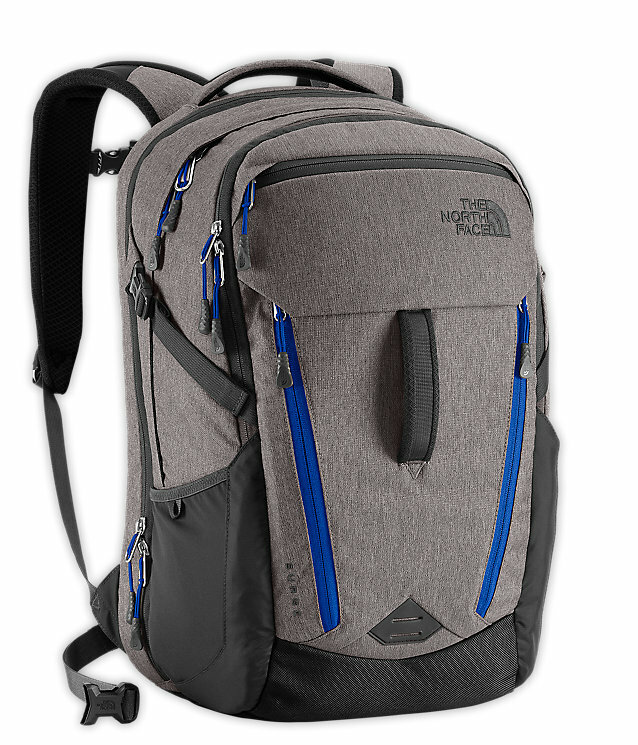 I had always discounted the North Face brand as mass market consumerist junk, but when I went shopping for a new backpack I was glad I took a closer look. When it comes to purchasing items like a computer or a backpack, it is no stretch to say I am ridiculously picky. I am willing to shop for weeks or months, past the point where other people would be fed up and just buy something. I have been accused of not being able to make a decision, but would rather go without than feel annoyed by a flawed product. I am also willing to spend more for something if it means better quality. I was thrilled when I finally found the Surge backpack. At $129 it was not the cheapest backpack, but it had all the features I was looking for. This is an excellent backpack for a student or anyone who carries a lot of electronics or flies regularly. It has pockets designed for laptops, tablets, phones, and all the cables and peripherals, with room to spare for other things like books or clothes, or a sack lunch. The Surge is a TSA checkpoint friendly product. The laptop sleeve unzips and folds out flat. There is no need to remove the laptop from the bag. The backpack has two water bottle holders, one on either side, that stretch to fit. My only complaint about this backpack is the tendency for the water bottles to slip out of these pockets more easily when fully loaded, but the backpack is roomy enough that this usually is not a problem. The Surge fits well and has clever ventilation to prevent a hot, sweaty back. It is comfortable to wear even when fully loaded and, like all North Face backpacks, it is endorsed by the American Chiropractic Association. It has securing straps across the chest and waist, but even without these I feel like I could hike in this backpack for hours without feeling a strain on my back or shoulders. It’s impossible to say too many good things about this backpack.